Earlier today I was attending a conference. During the tea break, I looked out the windows of the conference centre. I saw this and for a while think, this looks a bit like some European city with the Cathedrals. This was a Catholic Convent for 131 years before it was 'commercialized' into an art gallery and restaurants. 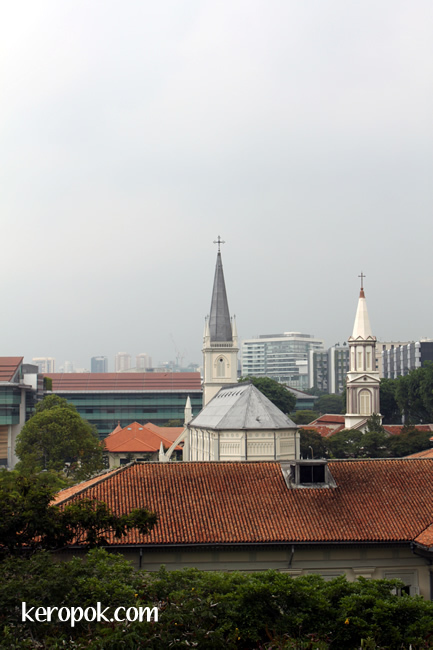 If you want to see a virtual reality of Chijmes, click here.